After you have an MRI performed, your physician specialist may provide you with either a set of films, CD of images, or a diagnostic report. 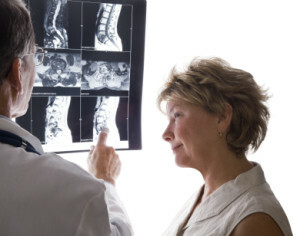 All of these recorded forms can be used to diagnose a back or neck condition. The MRI Review Department is dedicated to reviewing each record and making an initial determination on whether our clinic can help. This service is essential to helping back and neck pain sufferers who seek an alternative solution to traditional open surgery or fusions. The department is led by Medical Director Dr. Robert Saftic, a board certified spinal neurosurgeon who has been working with spinal patients for over 15 years. Once records are submitted to our department, we immediately begin the complimentary review process by entering your records into our evaluation system. The records are then disbursed to an MRI physician for review. After the physician makes an initial determination, an MRI consultant will call you on their behalf to discuss your specific symptoms and verify a correlation between those and your record findings. A few questions an MRI consultant commonly ask are; “which side of your leg/arm are you experiencing pain?” and “do you have any numbness or tingling in your extremities?” Our philosophy is to treat the patient’s symptoms and not just the condition. It is important to note this discussion is a preliminary diagnosis and a complete physical evaluation will be necessary to determine surgical candidacy our minimally-invasive surgical procedures. For all the details, please visit following link: Axis Special Hospital Online Consultations.